DT Works By Dean & Tyler. Ideal Service Harness for Working Breeds. 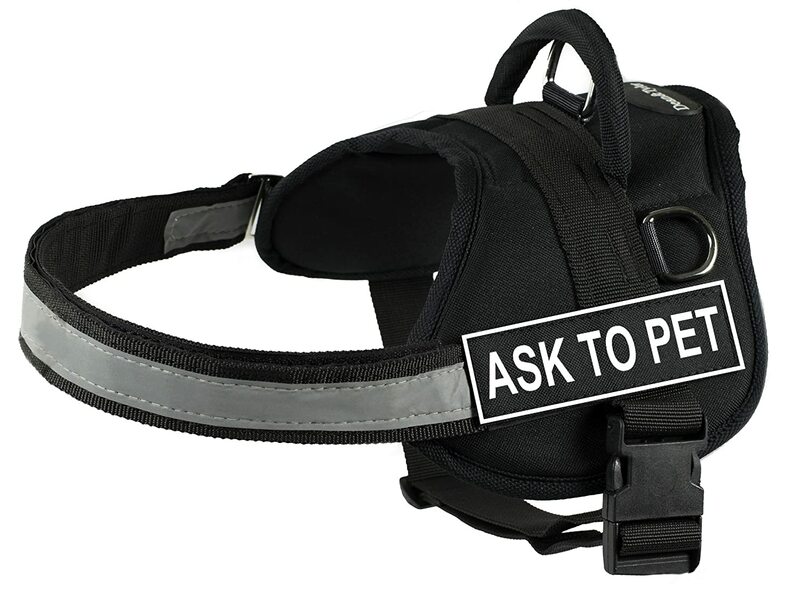 Service, Search & Rescue, Security Etc..- Large- Fits Girth 34"- 47"- Harness with Removable Velcro Patches- Ask to Pet Patches Included- Reflective Trim on the Chest.